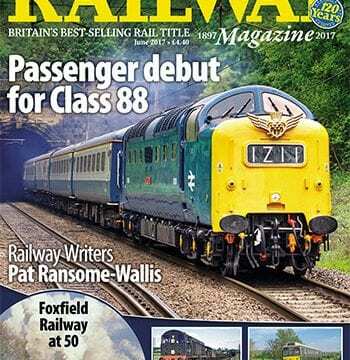 First generation railcar era ends as Chiltern ‘Bubblecars’ retire, armed police on UK trains after Manchester attack, work starts on East Coast IEP fleet, Alstom offers new EMU for UK market, Eurostar extends e320 operation to Brussels – and Amsterdam from December. 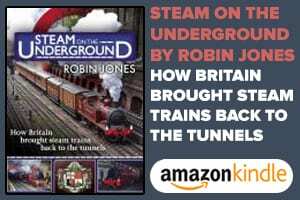 Two ‘Merchant Navies’ return as British India Line and Clan Line make main line tests on the same day, NYMR to run Cromer dining trains, Andy Munro steps down as Great Central CEO, War Department engines for North Norfolk gala. Crossrail construction work passes 85% mark, Abbey Wood interchange unveiled, user groups call for improvements to Stranraer line and in North Wales, new station on MML at Brent Cross? 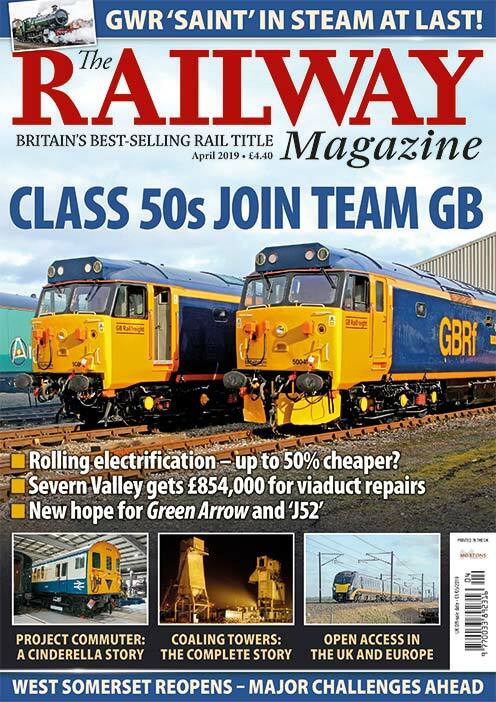 News from the train- and freight-operating companies. 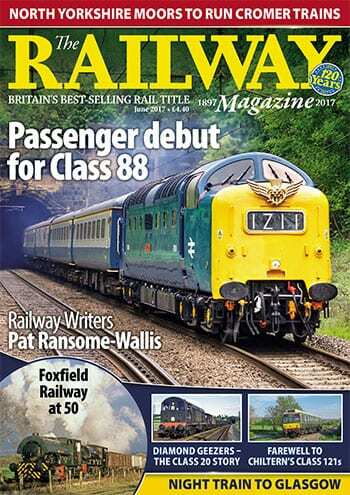 The Railway Magazine from only £20 per year. Details of when heritage railways and centres are open. Railway society meetings near you – all the details. 122 Prize Crossword and Where Is It? 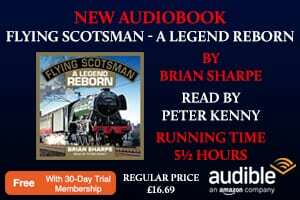 INSET 1: Celebrating 50 years of industrial magic at the Foxfield Railway. INSET 2: English Electric Type 1s reach their 60th anniversary. INSET 3: Farewell to Chiltern’s Class 121 ‘Bubblecars’.